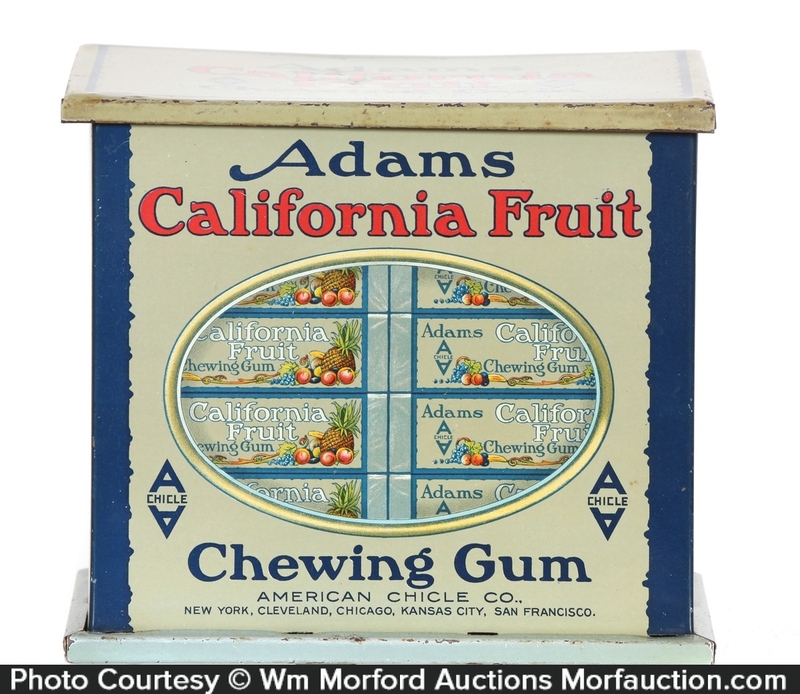 scarce variation, early tin litho hinged lid store display tin for American Chickle Co.’s Adams California Fruit brand chewing gum, w/ beautiful multi-color graphic gum packages pictured all around. 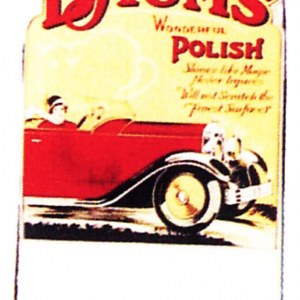 SKU: 85-51. 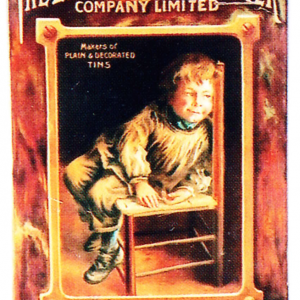 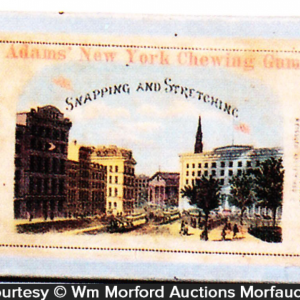 Categories: Antique Tins, Vintage Gum. 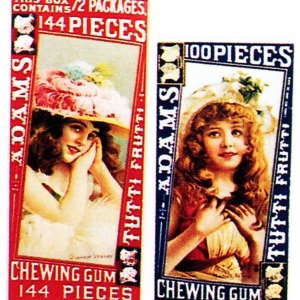 Company/Brand: Adam's Chewing Gum, American Chicle Company. 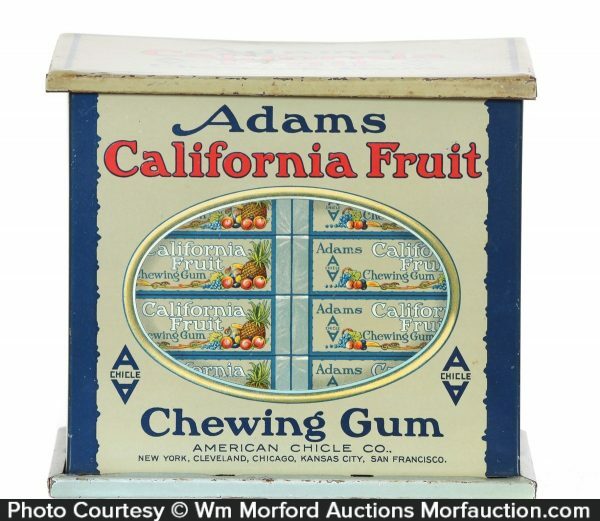 Adams California Fruit Gum Tin: scarce variation, early tin litho hinged lid store display tin for American Chickle Co.’s Adams California Fruit brand chewing gum, w/ beautiful multi-color graphic gum packages pictured all around. 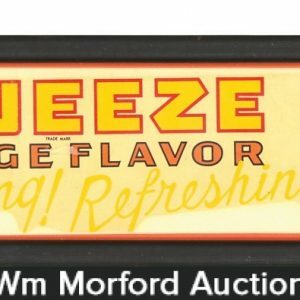 Clean, bright and exceptionally nice appearance (displays as a C. 8.5/+) w/ a little minor wear at bottom edge and a few minor bumps on lid (note: examination under black light will reveal a little extremely well done professional restoration on top of lid- so well done, not evident w/ viewed by naked eye).